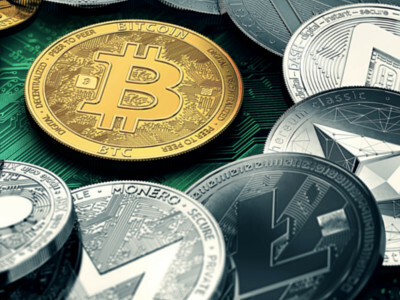 Crypto expert Tama Churchouse just identified three under-the-radar cryptos that have the potential to rocket 500 percent to 1,000 percent in the coming weeks. Over the past couple of weeks, the trade war cries out of the White House have substantially intensified. Firstly, Trump finally made good on his promises about implementing drastic protectionist measures, with tariffs on U.S. steel imports and aluminium imports of between 10 and 20 percent. His top economic advisor, Gary Cohn, a well-respected and more centrist pro-trade force within the administration duly resigned and took his turn walking through the entrance to the White House which has seemingly been replaced by revolving doors. Without getting into a debate about the wisdom of protectionist tariffs (not that it would be a particularly long one), the reality is that these initial measures don’t really affect China all that much. Some 14 percent of China’s aluminium exports currently head to the U.S., and less than 3 percent of its steel goes there. At the end of the day this hits the EU, Japan and Canada (41 percent of U.S. aluminium imports for example) far more than China. The total amount of steel and aluminium imported into the U.S. is minimal anyway. And the corresponding increases in cost will simply fall on U.S. companies and consumers. But what’s more important is the signal that the implementations of these tariffs communicate. And as more nationalist and protectionist elements within the White House, like Peter Navarro, the key architect of Trump’s “America First” campaign and Commerce Secretary Wilbur Ross, we should be prepared to expect further escalation of these types of trade measures, and without doubt China is in the cross hairs. Earlier this week, U.S. President Donald Trump put issued an ultimatum to China… reduce the trade deficit (i.e. the difference between the amount of goods and services that America imports from China versus the amount it exports to China) by US$100 billion. Note, the current trade deficit runs at approximately $375 billion. Peter Churchouse went from growing up in a tiny town in New Zealand to being a multi-millionaire investor and banker who spends days as he pleases… thanks to an investment he says made him more money than anything else in his life. Learn more about the secret behind Peter’s success here. Or else… Chinese import tariffs of up to US$60 billion on I.T., telecoms and consumer products – themselves all part of a U.S. examination of Chinese intellectual property violations – will likely be implemented. All foreign businesses, including U.S. ones, that operate or at least try to in China will likely tell you the same thing: it’s extremely frustrating, and they have to give up a lot for questionable gain. The price for foreigners operating in China is often handing over their technology to local “partners” in return for access to the market, effectively fuelling your future competition with your hard-earned intellectual property. And we’ve seen anecdotal evidence of industries where the Chinese government will implement laws that are impossible to adhere to in practice (i.e. unfeasibly low pollution emissions for production of a particular chemical for example), and simply apply that law to foreign businesses operating domestically and somehow conveniently overlooking local companies. That’s before we get to the endless amounts of government support provided to industry state champions, rendering them impractical to compete with. But China is simply too big for companies to ignore. And therein lies the problem for Trump. In an American Chamber of Commerce survey, a quarter of respondent companies stated that China provides at least 25 percent of their global revenues. Over 50 percent place China as one of their top three global investment objectives. When a tech-savvy billion-strong population’s economy is growing by 6-7 percent annually, it’s hard to look the other way. Unless a full-scale trade war breaks out, it’s unlikely that we’ll see much damage to financial markets. The bigger hit to U.S. equities for example came from Cohn’s resignation, not the announcements of tariffs. In other words, be prepared for a lot more “noise” over the coming weeks and months ahead, but we are a long way away from this being any kind of pretext to lighten up China equity positions. P.S. Rather than lightening any positions in China… it’s time to double down on an asset that could rally sharply as things continue to heat up. Learn more here. Who’s next in Trump’s trade crosshairs?